Chicks in Hats folded note card set (of 20 cards), with the image of a chick wearing a tiny hat. 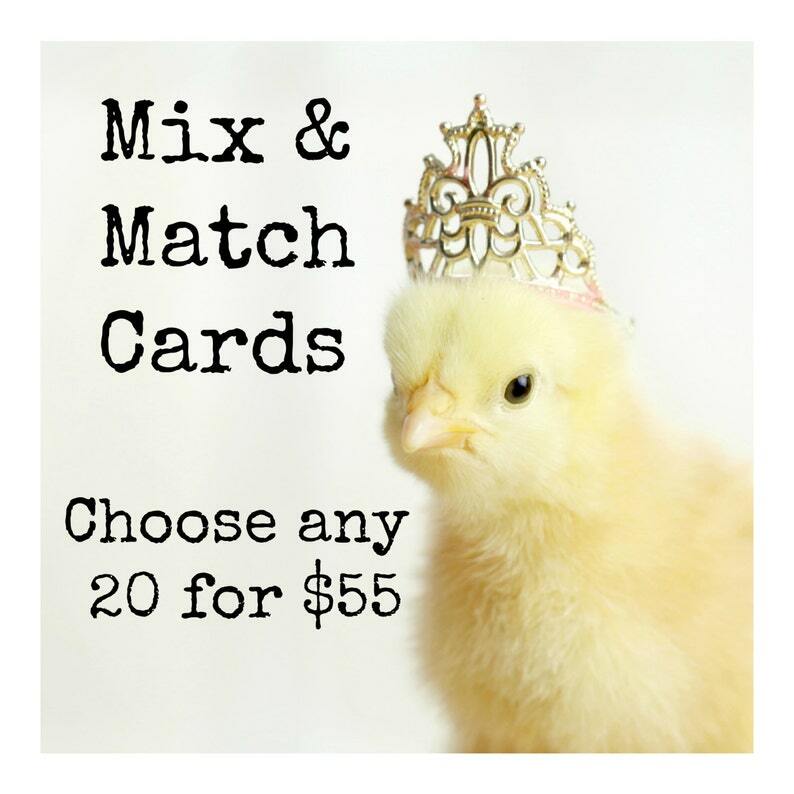 You get to choose the 20 cards you'd like in this set, just choose from cards in stock section using the link below and include in "notes to seller" when checking out. Oh I just adore these charming cards! And wonderful communications and customer service...Many thanks!